Here we are going to see, some example problems of finding curved surface area and total surface area of cone. 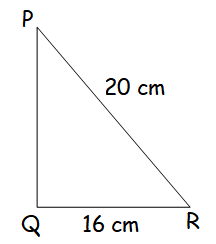 A right angled triangle PQR where angle Q = 90 degree is rotated about QR and PQ. If QR = 16 cm and PR = 20 cm, compare the curved surface areas of the right circular cones so formed by the triangle. Hence curved surface area of cone is larger when it is revolved about PQ. 4 persons live in a conical tent whose slant height is 19 cm. If each person require 22 cm2 of the floor area, then find the height of the tent. A girl wishes to prepare birthday caps in the form of right circular cones for her birthday party, using a sheet of paper whose area is 5720 cm2, how many caps can be made with radius 5 cm and height 12 cm. The ratio of the radii of two right circular cones of same height is 1:3. 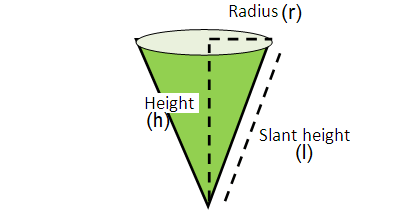 Find the ratio of their curved surface area when the height of each cone is 3 times the radius of the smaller cone. After having gone through the stuff given above, we hope that the students would have understood, "Curved Surface Area and Total Surface Area of Cone". 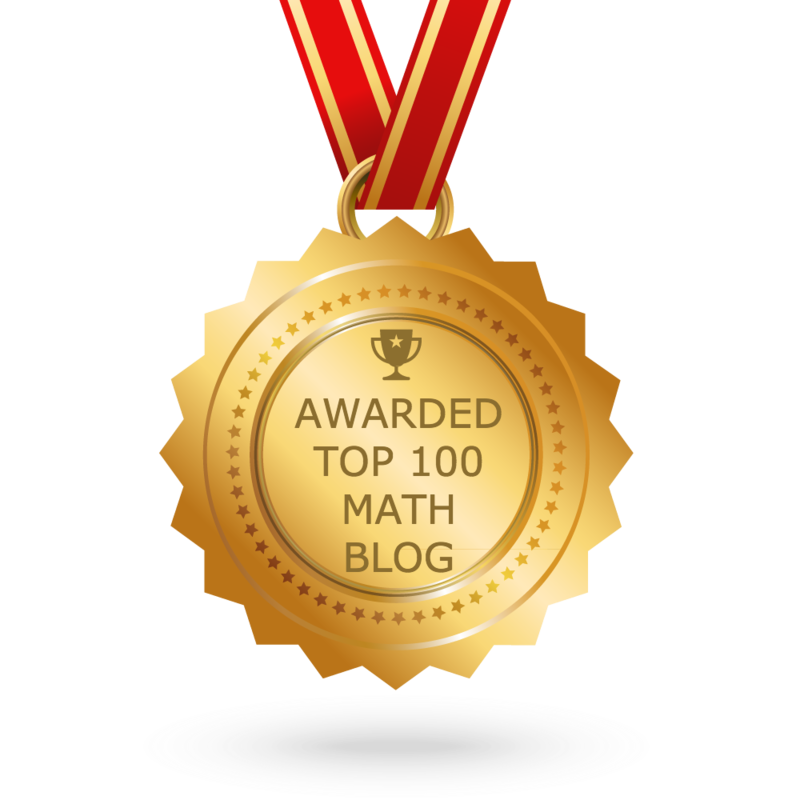 Apart from the stuff given in this section "Curved Surface Area and Total Surface Area of Cone" if you need any other stuff in math, please use our google custom search here.